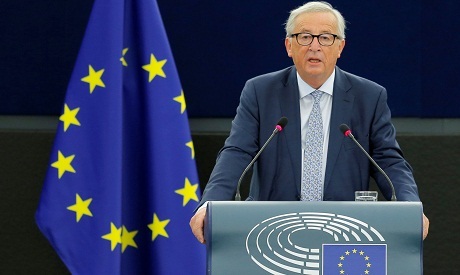 Juncker's showpiece speech is his last before May elections that will pit Europe's rising populist forces against his centrist supporters, and he issued a rallying cry to maintain a "continent of tolerance and openness". The set-piece speech was Juncker's fourth such state of the union. He leaves office on October 31 next year after a term marked by crisis after crisis: a refugee influx, soaring debt and Brexit.